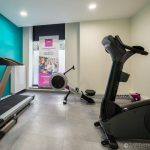 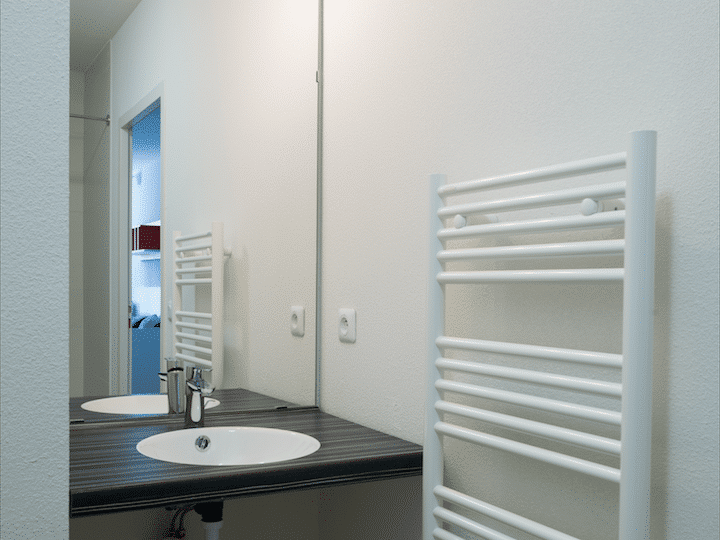 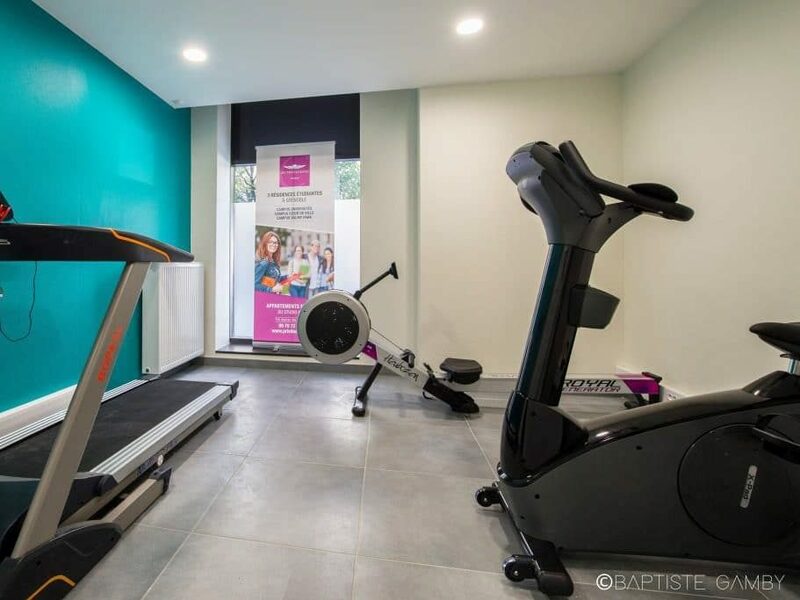 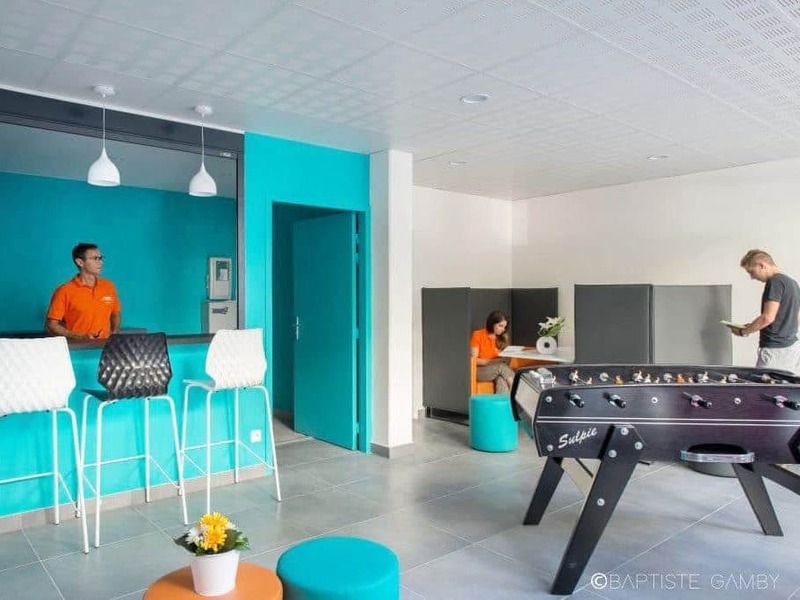 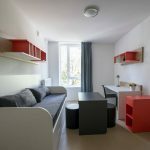 The Valmy Park student residence in Grenoble opened in September 2016 and comprises 93 student apartments, from furnished studios to one-room and two-room furnished apartments. 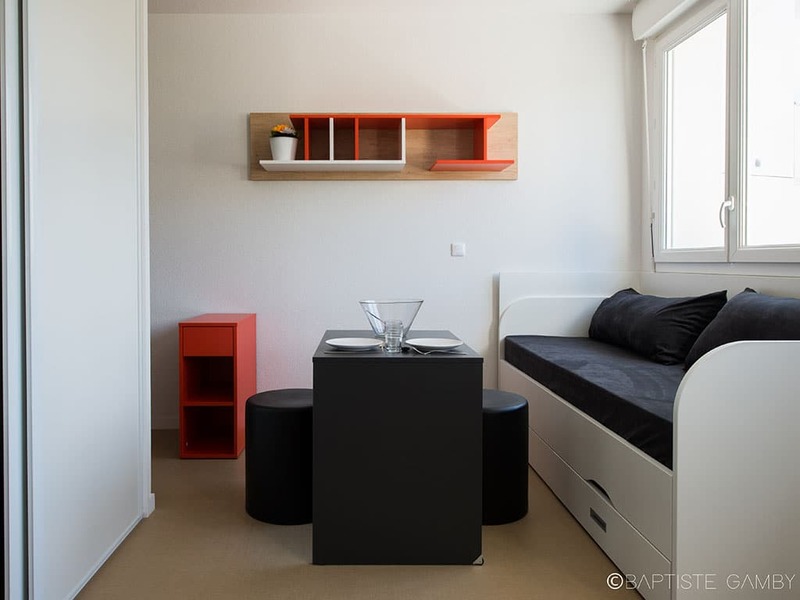 Ideally situated alongside tram line C (Flandrin-Valmy stop), a three-minute ride from the Saint Martin d’Hères campus and a ten-minute walk from Grenoble city center, Privilodges Valmy Park offers a modern, friendly and practical environment meeting the needs of students, researchers and young professionals. 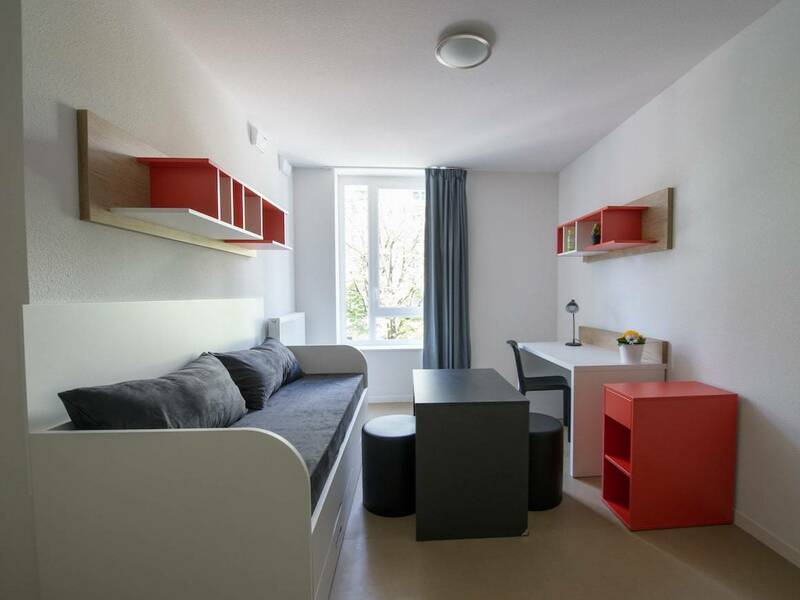 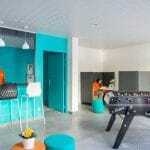 If, like us, you believe that where you live can contribute to your success, choose Privilodges student residences! 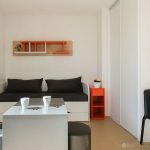 A studio apartment featuring a pleasant and well appointed living area, covering 16 to 24 sqm, comprising comfortable working and sleeping areas. 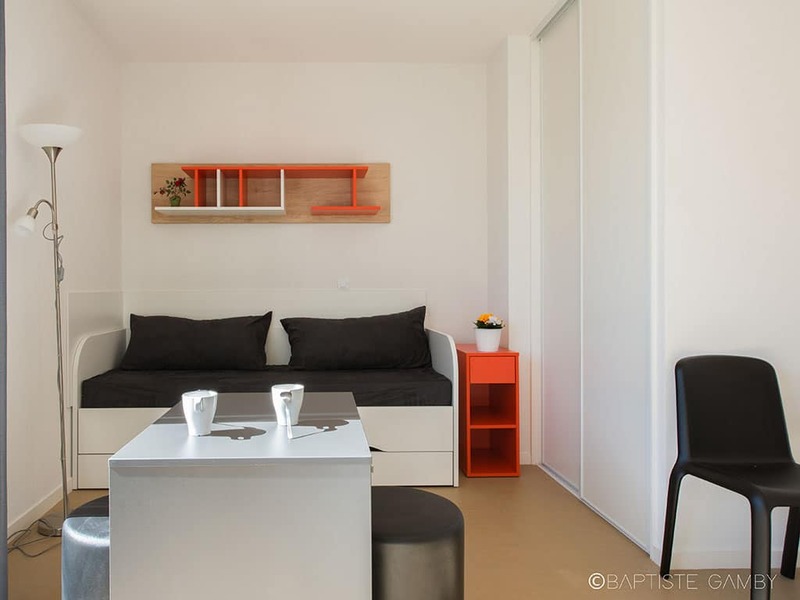 These superb and quiet one-room apartments (23.5 to 26 sqm) offer a simple, functional layout. 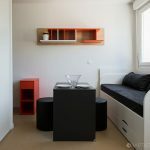 The sleeping area is away or separated from the kitchen area. 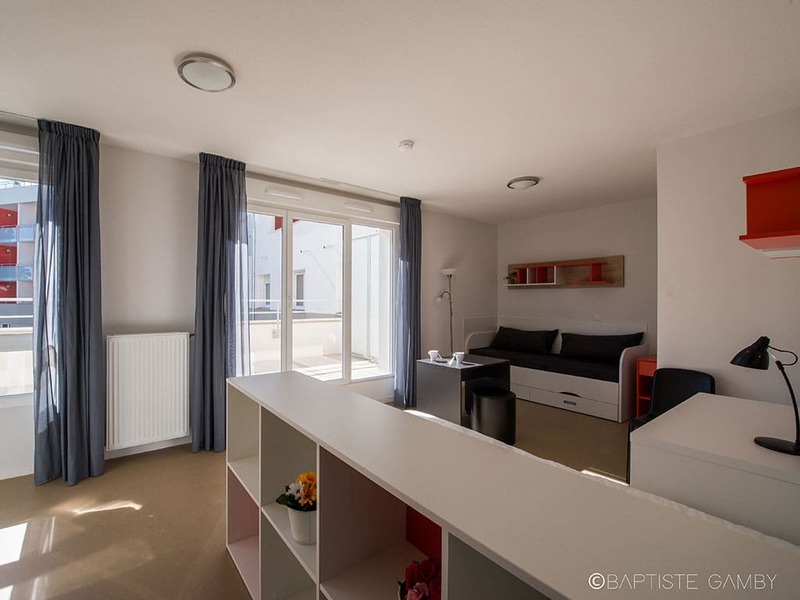 A spacious T1 of 30 sqm has a nice terrace which looks on the inner courtyard. 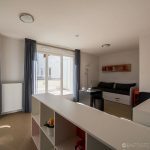 For those who want to totally separate working and sleeping areas, this two-room apartment features one double bed and 1 trundled bed and offers totally separate living and sleeping areas. 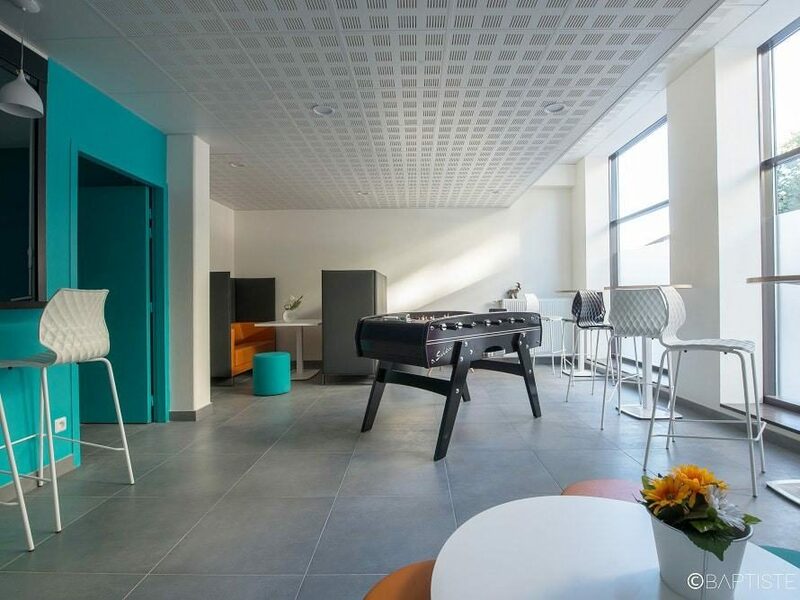 Located on the second floor, it is spacious and well-lit.